I’ve just seen a little Meme over on The Singing Mummy‘s page and thought I’d join in…. Monday – Lamb Rogan Josh, need to get marinading shortly…. Tuesday – Off out to Buddies to celebrate hubby’s birthday! Thursday – Let’s go Mexican with Enchiladas, with corn on the cob! 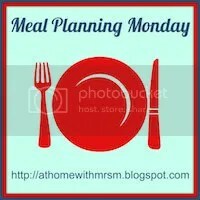 Over at Mrs M’s blog you can see lots more Meal Planning Monday ideas. Click the logo above and go straight there. This entry was posted in Stuff Yourself. Bookmark the permalink. Fairy Cakes….. who doesn’t love them? Naan Breads and Indian at home…. Best and Beyond (@be… on Disaster Strikes…..